SMR Legal Search was founded by Susan M. Rubinovitz, Esq. a former practicing attorney and experienced legal and compliance recruiter, to provide in house legal departments and law firms with top attorney, paralegal and compliance professional talent in the most expeditious and cost-effective manner. SMR Legal Search is based in Philadelphia and New Jersey and recruits and places attorneys, paralegals and compliance professionals at law firms and corporations throughout the Northeast, including Philadelphia, Pittsburgh and all of Pennsylvania, New Jersey, Delaware, New York, Boston, Connecticut, Washington, D.C. and Maryland and nationally. Our clientele is diverse. We work with large AM Global law firms to specialty boutique firms, and from Fortune 500 companies to small start-up businesses. We have some of the most interesting and desirable legal positions available. Many of our positions are exclusive unadvertised positions. Our legal and compliance recruiters are specialists in recruiting lateral attorneys, compliance professionals and paralegals for permanent positions We place general counsel, in house counsel, partners, practice groups, associates, compliance directors, chief privacy directors, and paralegals. 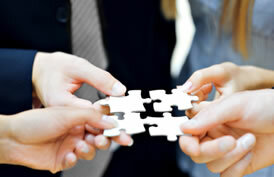 In addition, we handle mergers. Focusing exclusively on placing attorneys, compliance professionals and paralegals in permanent positions contributes to our unparalleled knowledge of the legal and compliance market and success at recruiting and placing top attorney, compliance professional and paralegal talent in highly specialized and technical fields of law. Our experienced legal and compliance recruiters are former practicing attorneys who have worked at and who possess extensive legal recruiting experience. We have over 45 years of combined law firm and legal recruiting experience. At SMR Legal Search, our legal recruiters work collaboratively to use our collective in-depth knowledge of the practice of law and legal recruiting market, experience and extensive contacts throughout the Northeast and nationally to provide our clients with the most qualified and highly credentialed attorneys, compliance professionals and paralegals to meet their specific needs. We are specialists in relocating attorneys. Susan has practiced law throughout the Northeast and is a member of the Pennsylvania, New Jersey, New York, Maryland, Massachusetts and District of Columbia bars. As such, she is familiar with the bar admittance requirements for each of those jurisdictions and has numerous contacts in the corporate and legal communities of those areas. Prior to becoming a legal recruiter, Susan was a litigation attorney. She has litigated complex matters in courtrooms in Philadelphia, New Jersey, Baltimore and Boston. This law practice experience is invaluable in helping law firms and corporations to find the most appropriate attorneys to meet their needs and to advise attorneys regarding the specific practice areas at potential employers. In addition, Jim has worked in management at a national law firm and in the insurance industry and maintains longstanding relationships with members of the corporate and legal communities. As members of the NALSC (National Association of Legal Search Consultants), SMR Legal Search operates under the most stringent ethical standards and strictest confidentiality. The New York City office of a well regarded law firm is seeking a corporate associate with 3-4 years of large firm experience in mergers and acquisitions and general corporate transactions, including some public and private securities offerings. Well regarded law firm is seeking a patent litigation with 2-4 years of large or boutique law firm experience handling sophisticate patent litigation matters. Well regarded law firm is seeking a patent associate with Electrical Engineering or Computer Science degree and 3-5 years of experience at a large or boutique law firm handling preparation and prosecution in the fields of telecommunications and network computing. Strong patent application drafting and prosecution experience are required. Well regarded law firm seeks a consumer finance litigation associate with 3-5 years of experience handling financial services litigation. Strong research and writing skills and appellate experience is required as is NY Bar Admission. Well regarded boutique litigation firm seeks an experienced litigation associate w/ 3-8 yrs. of exper. in defense products liability and general liability matters for their White Plains, NY office. NY Bar, knowledge of the FRCP and NY courtroom and deposition exper. reqd. Competitive compensation, congenial office, and interesting cutting edge products liability work. Top Law Firm seeks a Corporate Associate with 2 to 6 yrs. of large firm experience including mergers & acquisitions and private equity/venture capital matters. Excellent academic credentials reqd. You will be working with one of the best corporate attorneys in town who is an excellent mentor! Interesting sophisticated work and competitive compensation! Top firm seeks a healthcare associate with 3 to 5 years of experience for their Northern, NJ office. Must have experience w/ regulatory and compliance issues including Stark Law, HIPAA and Anti-Kickback Statute. Excellent academics and large firm experience. NJ Bar reqd. Excellent compensation and congenial office. Copyright © 2009 SMR Legal Search. All rights reserved.